Croats (/ˈkroʊæt, ˈkroʊɑːt/; Croatian: Hrvati, pronounced [xr̩ʋăːti]) are a nation and South Slavic ethnic group at the crossroads of Central Europe, Southeast Europe, and the Mediterranean Sea. Croats mainly live in Croatia and Bosnia and Herzegovina, but are an officially recognized minority in Austria, Czech Republic, Hungary, Italy, Montenegro, Romania, Serbia, and Slovakia. Responding to political, social and economic pressure, many Croats have migrated throughout Europe (especially Germany, Austria, Switzerland, France and Italy) and the Americas (particularly the United States, Canada, Argentina, and Chile), establishing a diaspora. Croats are mostly Roman Catholics. The Croatian language is official in Croatia and Bosnia and Herzegovina, as well as in the European Union, and is a recognised minority language within Croatian autochthonous communities and minorities in Montenegro, Austria (Burgenland), Italy (Molise), Romania (Carașova, Lupac) and Serbia (Vojvodina). Another theory is that the name comes from Old Church Slavonic Churvatinu "Croat," literally "mountaineer, highlander," from churva "mountain" which also has its cognate in the Russian word khrebet "mountain chain"). Contemporary scholarship views the rise of "Croats" as an autochthonous, Dalmatian response to the demise of the Avar khanate and the encroachment of Frankish and Byzantine Empires into northern Dalmatia. They appear to have been based around Nin and Klis, down to the Cetina and south of Liburnia. Here, concentrations of the "Old Croat culture" abound, marked by some very wealthy warrior burials dating to the 9th century CE. Other, distinct polities also existed near the Croat duchy. These included the Guduscans (based in Liburnia), the Narentines (around the Cetina and Neretva) and the Sorabi (Serbs) who ruled some other eastern parts of ex-Roman "Dalmatia". Also prominent in the territory of future Croatia was the polity of Prince Liutevid, who ruled the territories between the Drava and Sava rivers ("Pannonia Inferior"), centred from his fort at Sisak. Although Duke Liutevid and his people are commonly seen as a "Pannonian Croats", he is, due to the lack of "evidence that they had a sense of Croat identity" referred to as dux Pannoniae Inferioris, or simply a Slav, by contemporary sources. However, soon, the Croats became the dominant local power in northern Dalmatia, absorbing Liburnia and expanding their name by conquest and prestige. In the south, while having periods of independence, the Naretines also "merged" with Croats later under control of Croatian Kings. With such expansion, Croatia soon became dominant power and absorb other polities between Frankish, Bulgarian and Byzantine empire. Although the Chronicle of the Priest of Duklja has been dismissed as an unreliable record, the mentioned "Red Croatia" suggests that Croatian clans and families might have settled as far south as Duklja/Zeta and city of Drač in today's Albania. Having been under Avar control, lower Pannonia became a march of the Carolingian Empire around 800. Aided by Vojnomir in 796, the first named Slavic Duke of Pannonia, the Franks wrested control of the region from the Avars before totally destroying the Avar realm in 803. After the death of Charlemagne in 814, Frankish influence decreased on the region, allowing Prince Ljudevit Posavski to raise a rebellion in 819. The Frankish margraves sent armies in 820, 821 and 822, but each time they failed to crush the rebels. Aided by Borna the Guduscan, the Franks eventually defeated Ljudevit, who withdrew his forces to the "Serbs" and conquered them, according to the Frankish Annals. In 896 his rule stretched from Vienna and Budapest to southern Croat dutchies, and included almost whole of ex-Roman Pannonian provinces (whole 4). He probably died c. 900 fighting against his former allies, the Magyars. The subsequent history of Savia again becomes mirky, and historians are not sure who controlled Savia during much of the 10th century. However, it is likely that the strong ruler Tomislav, the first crowned King, was able to exert much control over Savia and adjacent areas during his reign. It is indeed at this time that sources first refer to a "Pannonian Croatia", appearing in the 10th century Byzantine work De Administrando Imperio. Branimir's (879–892) own actions were approved from the Holy See to bring the Croats further away from the influence of Byzantium and closer to Rome. Duke Branimir wrote to Pope John VIII affirming this split from Byzantine and commitment to the Roman Papacy. During the solemn divine service in St. Peter's church in Rome in 879, Pope gave his blessing to the duke and the whole Croatian people, about which he informed Branimir in his letters, in which Branimir was recognized as the Duke of the Croats (Dux Chroatorum). During his reign, Croatia retained its sovereignty from both Holy Roman imperial and Byzantine rule, and became a fully recognized state. After Branimir's death, Prince Muncimir (892–910), Zdeslav's brother, took control of Dalmatia and ruled it independently of both Rome and Byzantium as divino munere Croatorum dux (with God's help, duke of Croats). In Dalmatia, duke Tomislav (910–928) succeeded Muncimir. Tomislav successfully repelled Magyar mounted invasions of the Arpads, expelled them over the Sava River, and united (western) Pannonian and Dalmatian Croats into one state. Tomislav (910–928) became king of Croatia by 925. 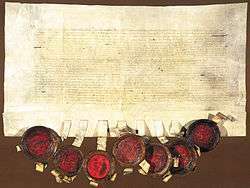 The chief piece of evidence that Tomislav was crowned king comes in the form of a letter dated 925, surviving only in 16th-century copies, from Pope John X calling Tomislav rex Chroatorum. According to De Administrando Imperio, Tomislav's army and navy could have consisted approximately 100,000 infantry units, 60,000 cavaliers, and 80 larger (sagina) and 100 smaller warships (condura), but generally isn't taken as credible. Croatian Kingdom as an ally of Byzantine Empire was in conflict with the rising Bulgarian Empire ruled by Tsar Simeon I. In 923, due to a deal of Pope John X and a Patriarch of Constantinopole, the sovereignty of Byzantine coastal cities in Dalmatia came under Tomislav's Governency. The war escalated on 27 May 927, in the battle of the Bosnian Highlands, after Serbs were conquered and some fled to the Croatian Kingdom. There Croats under leadership of their king Tomislav completely defeated Bulgarian army led by military commander Alogobotur, and stopped Simeon's extension westwards. The central town in the Duvno field was named Tomislavgrad ("Tomislav's town") in his honour in the 20th century. He was in conflict with dukes of Istria, while historical records Annales Carinthiæ and Chronica Hungarorum note he invaded Carinthia to aid Hungary in war during 1079/83, but this is disputed. Unlike Petar Krešimir IV, he was also an ally of the Normans, with whom he joined in wars against Byzantium. 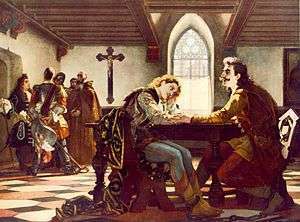 He married in 1063 Helen of Hungary, the daughter of King Bela I of the Hungarian Árpád dynasty, and the sister of the future King Ladislaus I. As King Zvonimir died in 1089 in unknown circumstances, with no direct heir to succeed him, Stjepan II (r. 1089–1091) last of the main Trpimirović line came to the throne at an old age and reigned for two years. After his death civil war and unrest broke out shortly afterward as northern nobles decided Ladislaus I for the Croatian King. In 1093, southern nobles elected a new ruler, King Petar Svačić (r. 1093–1097), who managed to unify the Kingdom around his capital of Knin. His army resisted repelling Hungarian assaults, and restored Croatian rule up to the river Sava. He reassembled his forces in Croatia and advanced on Gvozd Mountain, where he met the main Hungarian army led by King Coloman I of Hungary. In 1097, in the Battle of Gvozd Mountain, the last native king Peter was killed and the Croats were decisively defeated (because of this, the mountain was this time renamed to Petrova Gora, "Peter's Mountain"). 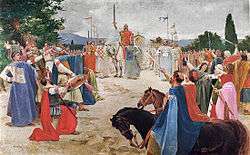 In 1102, Coloman returned to the Kingdom of Croatia in force, and negotiated with the Croatian feudal lords resulting in joining of Hungarian and Croatian crowns (with the crown of Dalmatia held separate from that of Croatia). 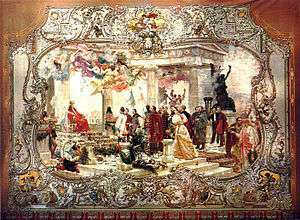 In the union with Hungary, institutions of separate Croatian statehood were maintained through the Sabor (an assembly of Croatian nobles) and the ban (viceroy). In addition, the Croatian nobles retained their lands and titles. 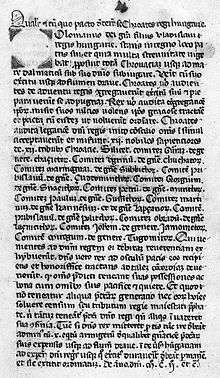 Coloman retained the institution of the Sabor and relieved the Croatians of taxes on their land. Coloman's successors continued to crown themselves as Kings of Croatia separately in Biograd na Moru. The Hungarian king also introduced a variant of the feudal system. Large fiefs were granted to individuals who would defend them against outside incursions thereby creating a system for the defence of the entire state. However, by enabling the nobility to seize more economic and military power, the kingdom itself lost influence to the powerful noble families. In Croatia the Šubić were one of the oldest Croatian noble families and would become particularly influential and important, ruling area between Zrmanja and Krka rivers. The local noble family from Krk island (latter took surname Frankopan) is often considered the second most important medieval family, as ruled over northern Adriatic and are responsible for adoption of one of oldest European statutes, Law codex of Vinodol (1288). Both families gave many native bans of Croatia. Other powerful families were Nelipić from Dalmatian Zagora (14th–15th centuries); Kačić who ruled over Pagania and were famous for piracy and wars against Venice (12th–13th centuries); Kurjaković family, a branch of old Croatian noble family Gusić from Krbava (14th–16th centuries); Babonići who ruled from western Kupa to eastern Vrbas and Bosna rivers, and were bans of Slavonia (13th–14th centuries); Iločki family who ruled over Slavonian stronghold-cities, and in 15th century rose to power. During this period, the Knights Templar and the Knights Hospitaller also acquired considerable property and assets in Croatia. In the second half of the 13th century, during the Árpád and Anjou dynasty struggle, Šubić family became hugely powerful under Paul I Šubić of Bribir who was the longest Croatian Ban (1274–1312), conquered Bosnia and declared himself "Lord of all of Bosnia" (1299–1312), appointed his brother Mladen I Šubić as Ban of Bosnia (1299–1304), and helped Charles I from House of Anjou to be the King of Hungary. After his death in 1312, his son Mladen II Šubić was the Ban of Bosnia (1304–1322) and Ban of Croatia (1312–1322). The kings from House of Anjou intended to strengthen the kingdom by uniting the power and control in their hands, but to do so had to diminish the power of the higher nobility. Already Charles I tried to crash the aristocratic particularism, intention finished by his son Louis the Great (1342–1382), relying on lower nobility and towns. Both ruled without the parliament, and inner nobility struggles only helped them in their intentions. This led to Mladen's defeat at the battle of Bliska in 1322 by a coalition of several Croatian noblemen and Dalmatian coastal towns with support of King himself, exchange of Šubić's castle of Ostrovica for Zrin Castle in Central Croatia (thus this branch was named Zrinski) in 1347. Eventually, Babonić and Nelipić families also succumbed to king's offensive against nobility, but with the centralization of power, Louis managed to force Venice by the Treaty of Zadar in 1358 to give up their possessions in Dalmatia. When king Louis died, without successor the question of succession remained open. The kingdom once again entered the time of internal unrest. Besides King Louis's daughter Mary, Charles III of Naples as the closest king male relative pretended to the throne. In February 1386, two months after his coronation, was assassinated by order of queen Elizabeth of Bosnia. His supporters, bans John of Palisna, John Horvat and Stjepan Lacković planned a rebellion against them, and managed to capture and imprison Elizabeth and Mary. By orders of John of Palisna, Elizabeth was strangled. As the answer for that, Magyars crowned Mary's husband Sigismund of Luxembourg. With the Ottoman invasion getting closer to Hungarian-Croatian kingdom, king Sigismund's army at the Battle of Nicopolis (1396) was catastrophically defeated, and without news about the king, then ruling Croatian ban Stjepan Lacković and nobles invited Charles III's son Ladislaus of Naples to be the new king. This resulted with Bloody Sabor of Križevci in 1397, lose of interest for the crown by Ladislaus and selling of Dalmatia to Venice in 1403, and spreading of Croatian name to the north, while of Slavonia to the east. The dynastic struggle didn't finish, and with the Ottoman invasion on Bosnia started the first short raids in Croatian territory, defended only by local nobles. As the Turkish incursion into Europe started, Croatia once again became a border area between two major forces in the Balkans. Croatian military troops fought in many battles under command of Italian Franciscan priest fra John Capistrano, the Hungarian Generalissimo John Hunyadi, and Hungarian King Matthias Corvinus, like in the Hunyadi's long campaign (1443–1444), battle of Varna (1444), second battle of Kosovo (1448), and contributed to the Christian victories over the Ottomans in the siege of Belgrade (1456) and Siege of Jajce (1463). At the time they suffered a major defeat in the battle of Krbava field (Lika, Croatia) in 1493 and gradually lost increasing amounts of territory to the Ottoman Empire. Pope Leo X called Croatia the forefront of Christianity (Antemurale Christianitatis) in 1519, given that several Croatian soldiers made significant contributions to the struggle against the Ottoman Turks. Among them there were ban Petar Berislavić who won a victory at Dubica on the Una river in 1513, the captain of Senj and prince of Klis Petar Kružić, who defended the Klis Fortress for almost 25 years, captain Nikola Jurišić who deterred by a magnitude larger Turkish force on their way to Vienna in 1532, or ban Nikola Šubić Zrinski who helped save Pest from occupation in 1542 and fought in the Battle of Szigetvar in 1566. During the Ottoman conquest tens of thousands of Croats were taken in Turkey, where they became slaves. The Battle of Mohács (1526) and the death of King Louis II ended Hungarian rule over Croatia. In 1526 the Hungarian parliament elected two separate kings János Szapolyai and Ferdinand I Habsburg, but the choice of the Croatian sabor at Cetin prevailed on the side of Ferdinand I, as they elected him as the new king of Croatia on 1 January 1527, uniting both lands under Habsburg rule. In return they were promised the historic rights, freedoms, laws and defence of Croatian Kingdom. Croats stopped the Ottoman advance in Croatia at the battle of Sisak in 1593, 100 years after the defeat at Krbava field, and the short Long Turkish War ended with the Peace of Zsitvatorok in 1606, after which Croatian classes tried unsuccessfully to have their territory on the Military Frontier restored to rule by the Croatian Ban, managing only to restore a small area of lost territory but failed to regain large parts of Croatian Kingdom (present-day western Bosnia and Herzegovina), as the present-day border between the two countries is a remnant of this outcome. In the first half of the 17th century, Croats fought in the Thirty Years' War on the side of Holy Roman Empire, mostly as light cavalry under command of imperial generalissimo Albrecht von Wallenstein. Croatian Ban, Juraj V Zrinski, also fought in the war, but died in a military camp near Bratislava, Slovakia, as he was poisoned by von Wallenstein after a verbal duel. His son, future ban and captain-general of Croatia, Nikola Zrinski, participated during the closing stages of the war. Following the democratization of society, accompanied with ethnic tensions that emerged in the post-Tito era, in 1991 the Republic of Croatia declared independence, which was followed by war with its Serb minority, backed up by Serbia-controlled Yugoslav People's Army. In the first years of the war, over 200,000 Croats were displaced from their homes as a result of the military actions. In the peak of the fighting, around 550,000 ethnic Croats were displaced altogether during the Yugoslav wars. Croatian Y chromosomal lineages testify to mostly Paleolithic European ancestry. A majority (>85%) of Croats from Croatia belong to one of the three major European Y-DNA haplogroups: I (38%–45%), R1a (27%–34%) and R1b (13%–15%), while a minority (>15%) mostly belongs to haplogroup E (9%), and others to haplogroups J (4.4%), N (2%), and G (1%). The frequency of haplogroup I, especially I2, in Croatian populations is especially high, indicating that the Adriatic coast is a likely source of the recolonization of Europe following the Last Glacial Maximum. Croatian Y chromosomal lineages testify to different migrational movements carrying mostly Palaeolithic European ancestry, a minor Neolithic impact from the Near East, as well as a Slavic influence from northwestern Europe. This frankly points to heterogeneous ethnogenesis, a high degree of mixing of newly arrived medieval migrant tribes (such as Slavs) with the indigenous populations that were already present in the region of modern-day Croatia. Hence, most modern day Croats are partly descended from the original European population of the region who have lived in the territory by other names, such as Illyrians, and their forebears. These original inhabitants also served an important role in re-populating Europe after the last ice age. Curiously enough, the Croats were never obliged to use Latin—rather, they held masses in their own language and used the Glagolitic alphabet. In 1886 it arrived to the Principality of Montenegro, followed by the Kingdom of Serbia in 1914, and the Republic of Czechoslovakia in 1920, but only for feast days of the main patron saints. The 1935 concordat with the Kingdom of Yugoslavia anticipated the introduction of the Slavic liturgy for all Croatian regions and throughout the entire state. This was officially sanctioned in 1248 by Pope Innocent IV, and only later did the Latin alphabet prevail. The Latin Rite prevailed over the Byzantine Rite rather early due to numerous interventions from the Holy See. There were numerous church synods held in Dalmatia in the 11th century, particularly after the East-West Schism, during the course of which the use of the Latin rite was continuously reinforced until it became dominant. The Baška tablet, a stone inscribed with the Glagolitic alphabet found on the Krk island which is dated to 1100, is considered to be the oldest surviving prose in Croatian. The beginning of more vigorous development of Croatian literature is marked by the Renaissance and Marko Marulić. Besides Marulić, Renaissance playwright Marin Držić, Baroque poet Ivan Gundulić, Croatian national revival poet Ivan Mažuranić, novelist, playwright and poet August Šenoa, poet and writer Antun Gustav Matoš, poet Antun Branko Šimić, expressionist and realist writer Miroslav Krleža, poet Tin Ujević and novelist and short story writer Ivo Andrić are often cited as the greatest figures in Croatian literature. 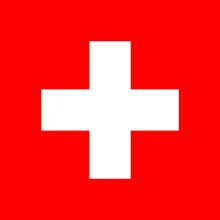 The coat-of-arms consists of the traditional red and white squares or grb, which simply means 'coat-of-arms'. 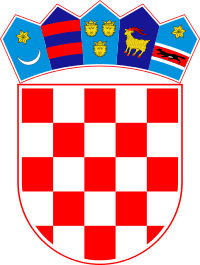 It has been used to symbolise the Croats for centuries; some speculate that it was derived from Red and White Croatia, historic lands of the Croatian tribe but there is no generally accepted proof for this theory. The current design added the five crowning shields, which represent the historical regions from which Croatia originated. 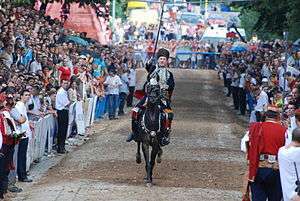 The red and white checkerboard has been a symbol of Croatian kings since at least the 10th century, ranging in number from 3×3 to 8×8, but most commonly 5×5, like the current coat. The oldest source confirming the coat-of-arms as an official symbol is a genealogy of the Habsburgs dating during 1512–18. In 1525 it was used on a votive medal. The oldest known example of the šahovnica (chessboard in Croatian) in Croatia is to be found on the wings of four falcons on a baptismal font donated by king Peter Krešimir IV of Croatia (1058–1074) to the Archbishop of Split. In Croatia (the nation state), 3.9 million people identify themselves as Croats, and constitute about 90.4% of the population. Another 553,000 live in Bosnia and Herzegovina, where they are one of the three constituent ethnic groups, predominantly living in Western Herzegovina, central Bosnia and Posavina. The minority in Serbia number about 70,000, mostly in Vojvodina, where also vast majority of the Šokci consider themselves Croats, as well as many Bunjevci (the latter, as well as other nationalities, settled the vast, abandoned area after the Ottoman retreat; this Croat subgroup originates from the south, mostly from the region of Bačka). 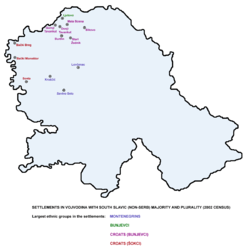 Smaller Croat autochthonous minorities exist in Slovenia (mainly in Primorska, Prekmurje and in the Metlika area in Dolenjska regions – 35,000 Croats), Montenegro (mostly in the Bay of Kotor – 6,800 Croats), and a regional community in Kosovo called Janjevci who nationally identify as Croats. In the 1991 census Croats consisted 19.8% of the overall population of former Yugoslavia; there were around 4.6 million Croats in the entire country. In Bosnia and Herzegovina, Croats are one of three constitute ethnic groups, numbering around 553,000 people or 14.6% of population. 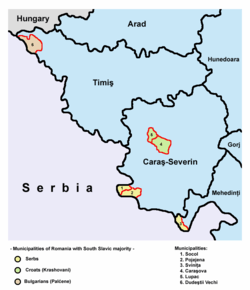 The entity of Federation of Bosnia and Herzegovina is home to majority (495,000 or about little under 90%) of Bosnian Croats. To the west (Slovenia, Italy) and north (Austria, Slovakia, Germany, Hungary), caused by the conquering of Ottoman Turks, when Croats as well by religion as Roman Catholic were more oppressed than Orthodox Christians and Muslims. A further, larger wave of emigration, this time for political reasons, took place after the end of the World War II. At this time, both collaborators of the Ustaša régime and refugees who did not want to live under a communist régime fled the country. The count for diaspora is approximate because of incomplete statistical records and naturalization. Overseas, the United States contains the largest Croatian emigrant group (544,270 in the 1990 census; 374,271 in the 2000 census), mostly in Ohio, Pennsylvania, Illinois and California, with a sizable community in Alaska, followed by Australia (105,747 according to 2001 census, with concentrations in Sydney, Melbourne and Perth) and Canada (Southern Ontario, British Columbia and Alberta). The total number of Croatian descendants in the United States and Canada has been estimated to 2 millions. Croats have also emigrated in several waves to Latin America, mostly to South America: chiefly Chile, Argentina, and Brazil; estimates of their number vary wildly, from 150,000 up to 500,000. There are also smaller groups of Croatian descendants in the Brazil, Ecuador, Peru, South Africa, New Zealand, Mexico, and South Korea. The most important organisations of the Croatian diaspora are the Croatian Fraternal Union, Croatian Heritage Foundation and the Croatian World Congress. 1 2 "Hrvatski Svjetski Kongres". Archived from the original on 15 October 2007. Retrieved 15 October 2007. CS1 maint: Unfit url (link), Croatian World Congress, "4.5 million Croats and people of Croatian heritage live outside the Republic of Croatia and Bosnia and Herzegovina", also quoted here . 1 2 "HIA – iseljenici". Archived from the original on 2007-03-04. Retrieved 18 March 2015. ↑ "Central Bureau of Statistics". Dzs.hr. Retrieved 2013-03-26. ↑ Sarajevo, juni 2016. CENZUS OF POPULATION, HOUSEHOLDS AND DWELLINGS IN BOSNIA AND HERZEGOVINA, 2013 FINAL RESULTS (PDF). BHAS. Retrieved 30 June 2016. ↑ "State Office for Croats Abroad". Retrieved 18 March 2015. ↑ "2006 Figures Publ.Document.88215.pdf" (PDF). p. 68. Archived from the original (PDF) on 24 June 2008. Note: Petra-P12, gives a 40,484 number. as of 2004 page 12 2.1.1. Ständige ausländische Wohnbevölkerung nach Nationalität 2001–04, gives a 44,035 number. ↑ "Présentation de la Croatie" (in French). Ministry of Foreign Affairs and International Development. Retrieved 28 June 2016. ↑ "Statistini urad RS – Popis 2002". Retrieved 18 March 2015. ↑ "Hrvatsko iseljeništvo u Švedskoj" (in Croatian). Retrieved 18 March 2015. ↑ Joshua Project. "Country – Denmark: Joshua Project". Retrieved 18 March 2015. ↑ "Population by immigrant category and country background.". 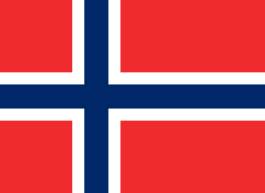 Statistics Norway. 1 January 2015. Retrieved 18 March 2015. ↑ "From the lives of Croatian faithful outside Croatia". Archived from the original on 27 October 2005. ↑ Joshua Project. 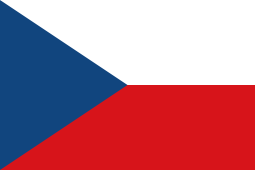 "Croats of Czech Republic: Ethnic People Profile". Joshuaproject.net. Retrieved 26 March 2013. ↑ "Moravian Croats". Croatianhistory.net. Retrieved 26 March 2013. 1 2 3 4 5 6 "Status of Croatian immigrants and their descendants abroad". REPUBLIC OF CROATIA: State Office for Croats Abroad. Retrieved 20 July 2013. ↑ "Hrvatsko iseljeništvo u Ekvadoru" (in Croatian). Retrieved 18 March 2015. ↑ "7. 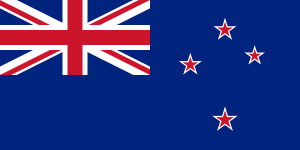 Facts and figures – Dalmatians – Te Ara Encyclopedia of New Zealand". Retrieved 18 March 2015. ↑ "Hrvatsko iseljeništvo u Novom Zelandu" (in Croatian). Retrieved 18 March 2015. ↑ "Dom i svijet – Broj 227 – Croatia klub u Juznoj Africi". Retrieved 18 March 2015. ↑ "Ethnologue – South Slavic languages". ethnologue.com. Retrieved 8 February 2011. ↑ Fine, John Van Antwerp (1991). The early medieval Balkans: a critical survey from the sixth to the late twelfth century. University of Michigan Press. p. 257. ISBN 978-0-472-08149-3. ↑ Draganović, Krunoslav (1991). Povijest Bosne i Hercegovine od najstarijih vremena do godine 1463. Hrvatsko kulturno društvo Napredak. p. 191. ↑ Fine, John Van Antwerp (1991). The early medieval Balkans: a critical survey from the sixth to the late twelfth century. University of Michigan Press. p. 261. ISBN 978-0-472-08149-3. ↑ Omrčanin, Ivo (1984). Military history of Croatia. Dorrance. p. 21. ISBN 978-0-8059-2893-8. Retrieved 29 April 2012. ↑ Royal Anthropological Institute of Great Britain and Ireland; JSTOR (Organization) (1882). Journal of the Royal Anthropological Institute of Great Britain and Ireland. Retrieved 29 April 2012. ↑ http://crohis.com/knjige/Sisic%20-%20pregled/18.%20Slavac%20-%20Dmitar%20Zvonimir.PDF Archived 13 March 2012 at the Wayback Machine. ↑ "Demetrius, Duke of Croatia and Dalmatia". archive.org. ↑ Raukar, Tomislav (1997). Hrvatsko srednjovjekovlje: prostor, ljudi, ideje. ISBN 978-953-0-30703-2. ↑ "Croatia". Encyclopædia Britannica. Retrieved 18 March 2015. ↑ "Full text of "The southern Slav question and the Habsburg Monarchy"". Retrieved 18 March 2015. ↑ Charles W. Ingrao (2000). The Habsburg Monarchy, 1618–1815. Cambridge University Press. p. 15. ISBN 978-0-521-78505-1. ↑ "Vlada Autonomne Pokrajine Vojvodine – Index". Vojvodina.gov.rs. Archived from the original on 12 February 2012. Retrieved 17 February 2012. 1 2 3 4 5 Barać L, Pericić M, Klarić IM, et al. (July 2003). "Y chromosomal heritage of Croatian population and its island isolates" (PDF). Eur. J. Hum. Genet. 11 (7): 535–42. doi:10.1038/sj.ejhg.5200992. PMID 12825075. 1 2 3 Rootsi Siiri; et al. (2004). "Phylogeography of Y-Chromosome Haplogroup I Reveals Distinct Domains of Prehistoric Gene Flow in Europe". American Journal of Human Genetics. 75 (1): 128–37. doi:10.1086/422196. PMC 1181996 . PMID 15162323. 1 2 3 4 5 6 7 8 Y-chromosomal evidence of the cultural diffusion of agriculture in southeast Europe, Battaglia et al. ↑ Krasić, Stjepan (2009). Počelo je u Rimu: Katolička obnova i normiranje hrvatskoga jezika u XVII. stoljeću. ISBN 978-953-6316-76-2. ↑ Babić, Stjepan (1995). Hrvatski jučer i danas. p. 250. ISBN 978-953-160-052-1. ↑ "Croatia: Themes, Authors, Books | Yale University Library Slavic and East European Collection". Library.yale.edu. 16 November 2009. Retrieved 27 October 2010. 1 2 Price, Glanville (1998). Encyclopedia of the languages of Europe. Oxford, UK: Blackwell Publishers Ltd. p. 425. ISBN 978-0-631-19286-2. ↑ Kapetanović, Amir (2005). "HRVATSKA SREDNJOVJEKOVNA LATINICA" (PDF). HRVATSKA SREDNJOVJEKOVNA LATINICA. ↑ Branko Fučić (September 1971). "Najstariji hrvatski glagoljski natpisi". Slovo (in Croatian). Old Church Slavonic Institute. 21. ↑ "Hrvoje's Missal ~ 1403–1404". Retrieved 9 March 2012. ↑ "VINODOLSKI ZAKON (1288)". Archived from the original on 2007-04-29. Retrieved 9 March 2012. ↑ "Istarski Razvod". Archived from the original on 2007-04-29. Retrieved 9 March 2012. ↑ "Vatikanski hrvatski molitvenik". Retrieved 9 March 2012. ↑ Clissold, Stephen; Darby, Henry Clifford (1968). A short history of Yugoslavia from early times to 1966. CUP Archive. pp. 51–52. ISBN 978-0-521-09531-0. Retrieved 30 November 2011. ↑ "Najljepši gradovi Sjeverne Hrvatske – Karlovac, Ozalj, Ogulin" [The Most Beautiful Cities of the Northern Croatia – Karlovac, Ozalj, Ogulin]. Jutarnji list (in Croatian). 14 August 2010. Retrieved 10 October 2011. ↑ Darja Radović Mahečić (2006). "Sekvenca secesije – arhitekt Lav Kalda" [Sequence of the Art Nouveau – Architect Lav Kalda] (PDF). Radovi Instituta za povijest umjetnosti (in Croatian). Institute of Art History (Croatia). 30: 241–264. ISSN 0350-3437. Archived from the original (PDF) on 21 July 2011. Retrieved 10 October 2011. 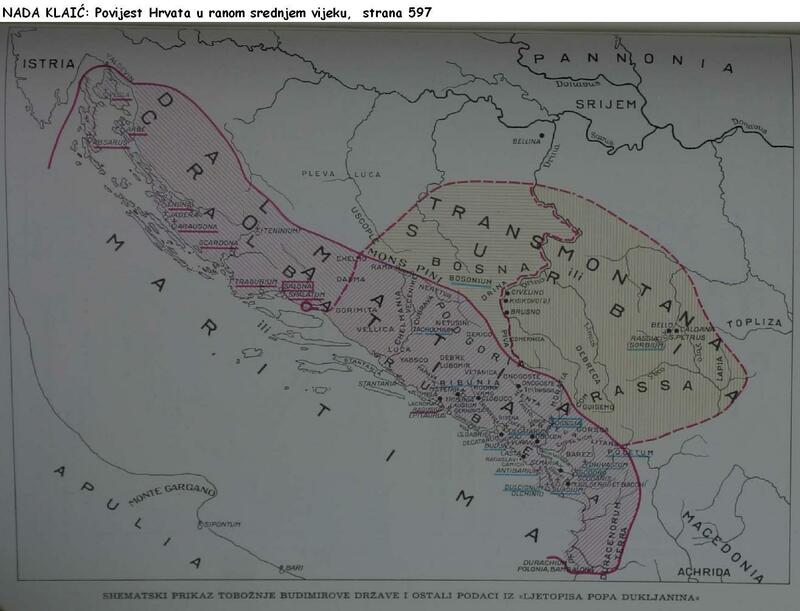 1 2 "CROATIAN ART HISTORY – OVERVIEW OF PREHISTORY". Ministry of Foreign Affairs and European Integration (Croatia). Archived from the original on 7 October 2011. Retrieved 10 October 2011. ↑ Pavao Nujić (September 2011). "Josip Juraj Strossmayer – Rođeni Osječanin" [Josip Juraj Strossmayer – Native of Osijek]. Essehist (in Croatian). University of Osijek – Faculty of Philosophy. 2: 70–73. ISSN 1847-6236. Retrieved 10 October 2011. ↑ "Hrvatska književnost u 270.000 redaka" [Croatian Literature in 270,000 Lines] (in Croatian). Miroslav Krleža Lexicographical Institute. 11 February 2011. Retrieved 13 October 2011. ↑ "REPUBLICKI ZAVOD ZA STATISTIKU – Republike Srbije". Archived from the original on 22 April 2009. ↑ "HKDC Geschichte – Frame". Croates.at. Archived from the original on 22 April 2008. Retrieved 21 November 2008. ↑ Većeslav Holjevac. "In his book Hrvati izvan domovine estimates the number of Croatian emigrants in South America at 180,000 in 1932.". Croatian Heritage Foundation. Archived from the original on 11 March 2007. ↑ "The Croatian Emigrant Adresary places the total number of Croats in South America as high as 500,000". Croatian Emigrant Adresary. Archived from the original on 4 March 2007. "Croats of Bosnia and Herzegovina: History". Archived from the original on 15 June 2002. "Hrvatska matica iseljenika". Croatian Heritage Foundation. Archived from the original on 27 April 2005.